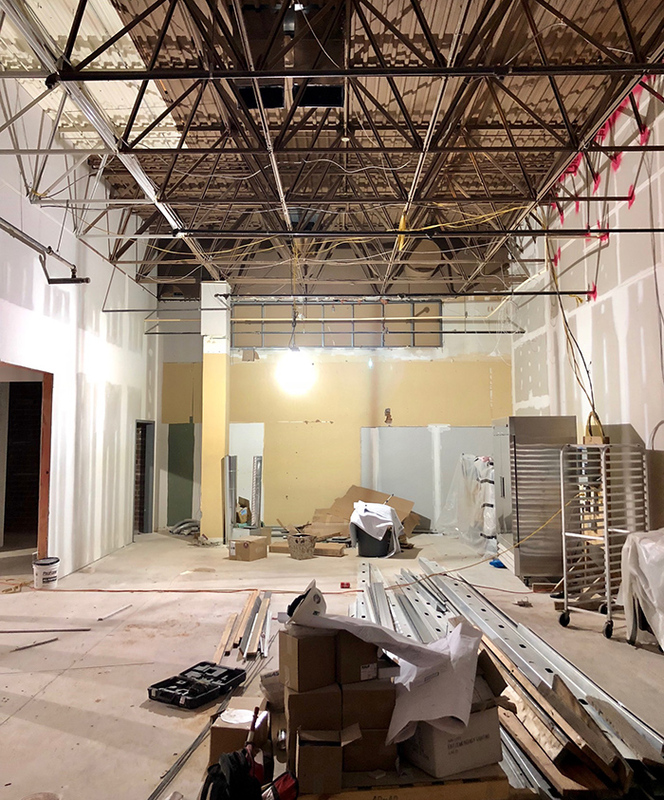 Copain, a SouthPark bakery and market from Rooster’s owner Jim Noble, is wrapping up construction and will open later this summer next to Rooster’s in SouthPark. 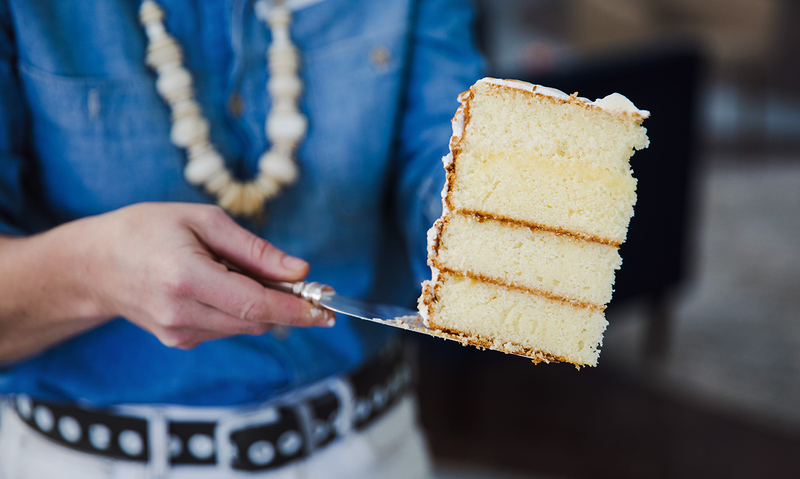 Copain will offer bakery items like bread, breakfast pastries, pies and cakes as well as grab-and-go sandwiches, soups, seasonal salads, vegetables, proteins, complete meals, wine, coffee and more. 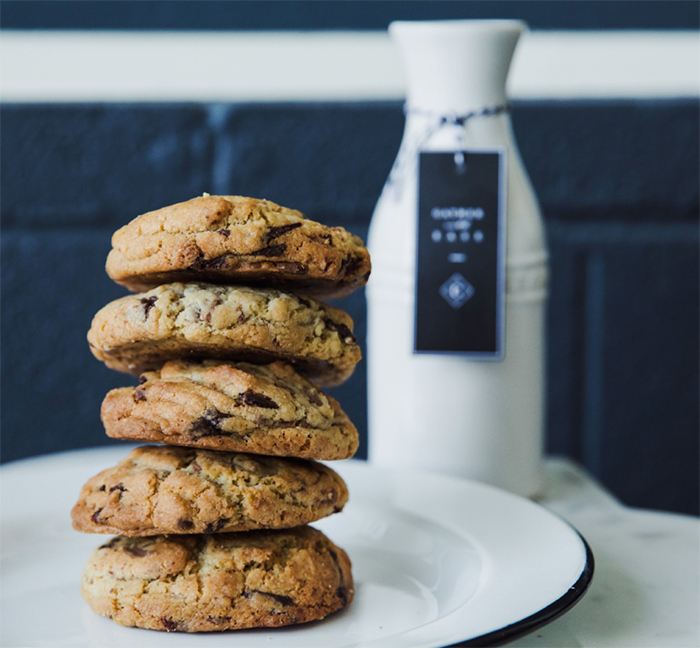 Customers will have the option of online ordering and Copain will also offer a curated selection of kitchen and home goods just in case you need a quick gift with your baguette and bottle of wine. 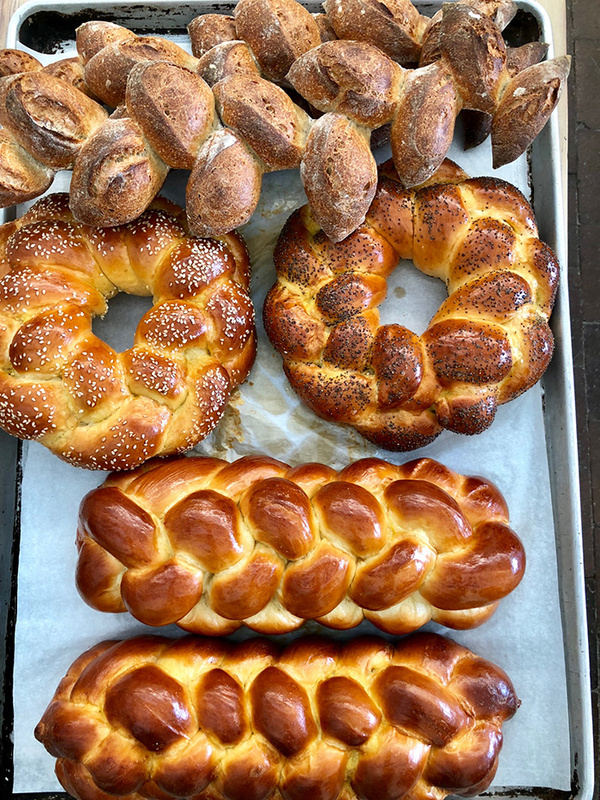 The Copain team shared with the Agenda that early menu favorites include their fresh vegetable tart, fresh fruit tart, floral sugar cookies and all of the bread — especially the rye and cinnamon rolls. 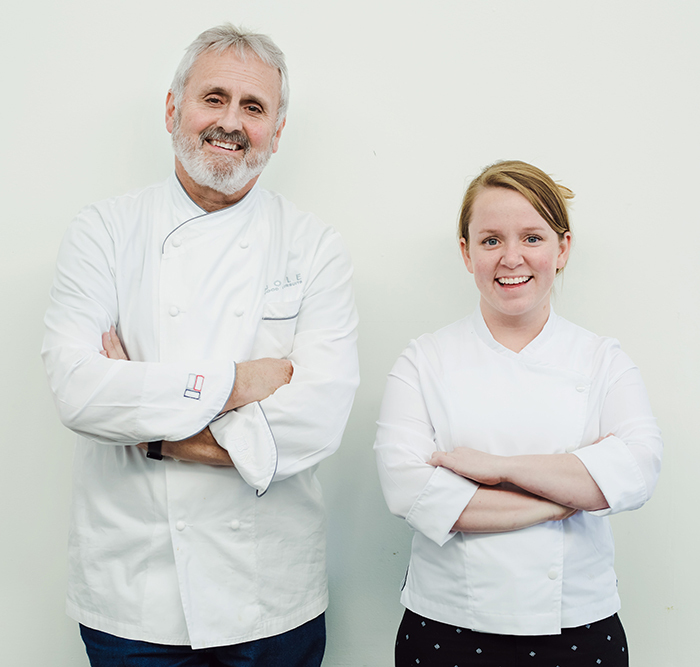 Below is owner Jim Noble (left) and Executive Pastry Chef Maris Pedersen (right). 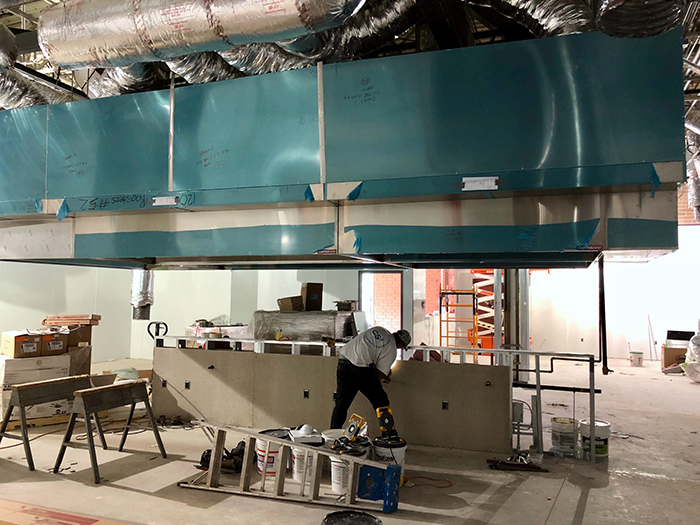 Don’t forget, Jim Noble, owner of Noble Pursuits which is the parent company of Rooster’s and King’s Kitchen, is also creating a massive flagship BBQ joint on Freedom Drive named Noble Smoke. Busy dude. 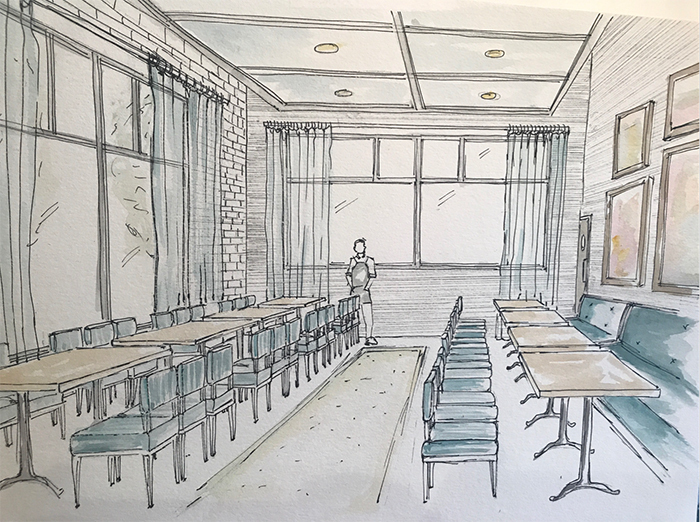 Copain’s space will have a bistro and market vibe with seating for about 25, a grab-and-go station, and shelves stocked with bread on the walls. They will be plenty of outlets as well if you’re looking for a beautiful space to sip coffee and get some work done. I know it’s hard to read (sorry), but this is the layout at Copain. Copain will be located across the atrium from Rooster’s. If you’ve been there recently, here’s what it looks like on the outside. 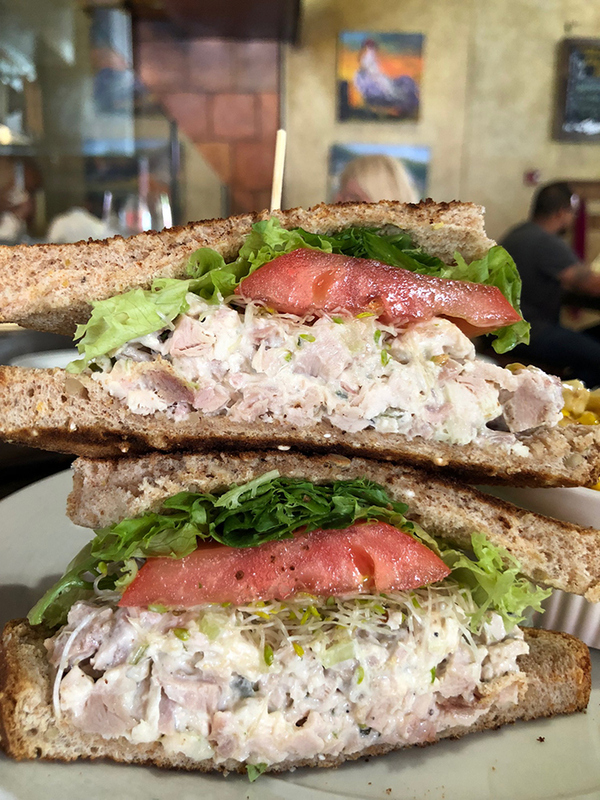 In addition to the Copain, Jim Noble has leased much of the building that houses Rooster’s to create two private dining rooms and the capacity for a large catering volume. 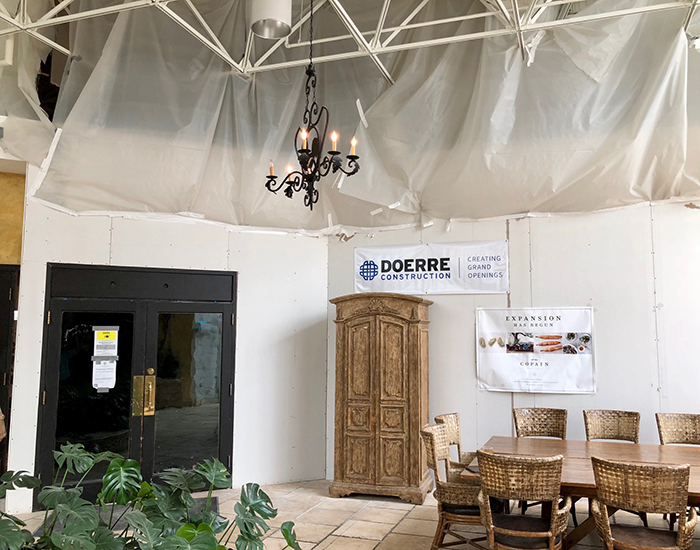 Construction is wrapping up on the two private dining rooms and they should be available for rental by the end of the June. 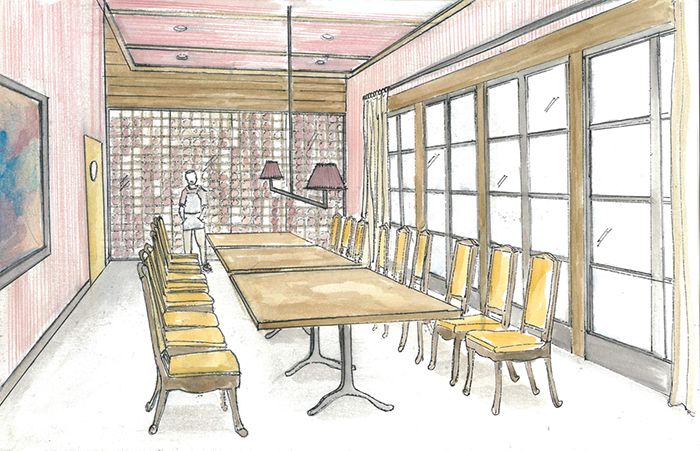 Private dining rooms, across the atrium from Rooster’s. 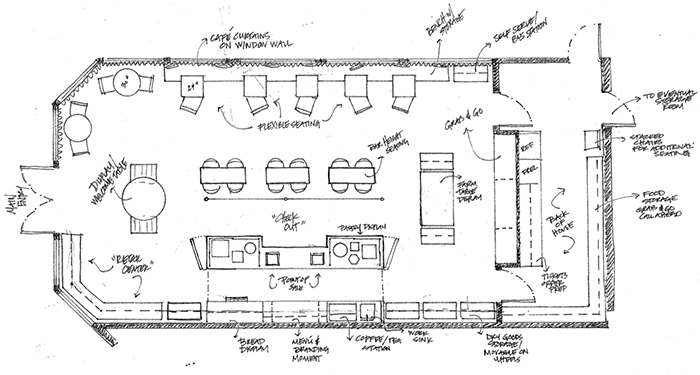 Massive kitchen that’ll serve many purposes including the capacity for large catering orders. 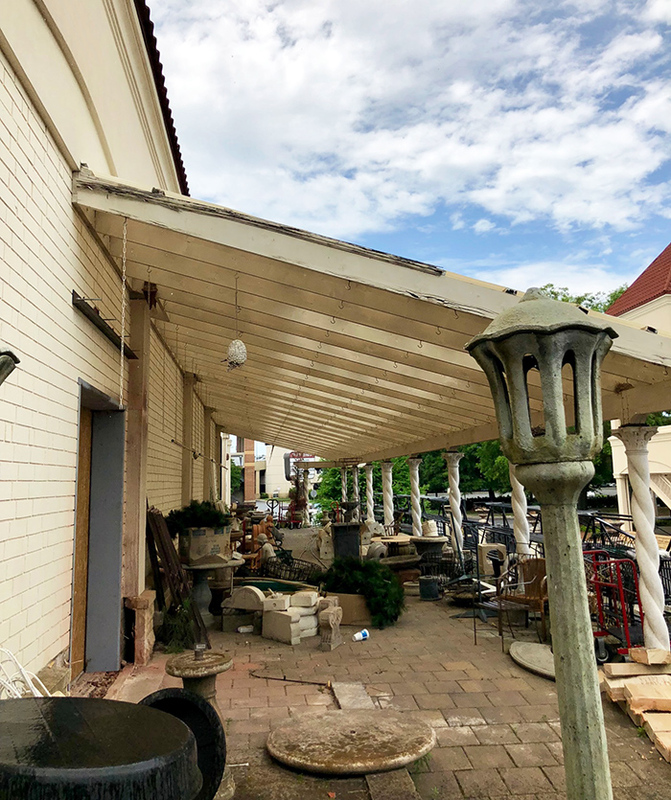 Eventually, Jim will take over this garden patio and create a courtyard area for private parties and a glass of wine before dinner at Rooster’s. This spot has a ton of potential. 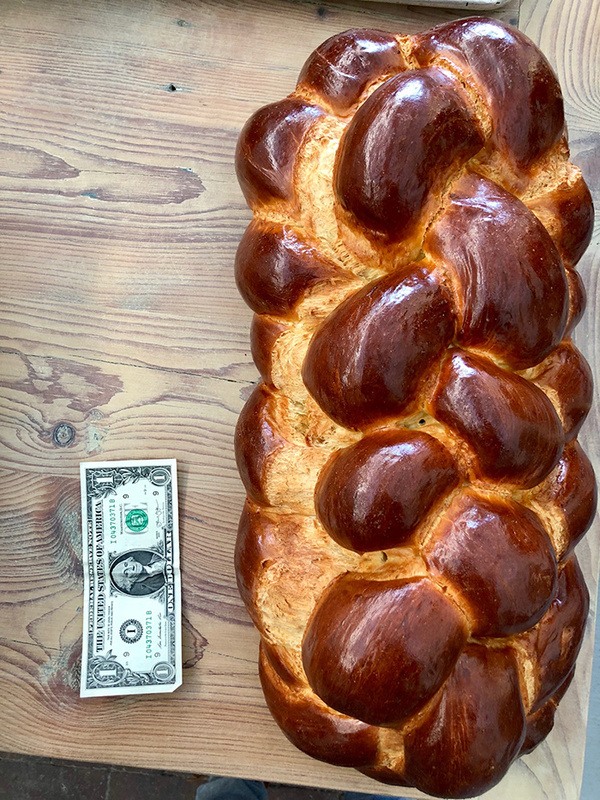 Final thought: Tell me you don’t want to pick up this enormous Copain bread and take a huge bite out of it?